As you know from my previous post, I was diagnosed with pre-diabetes recently. I really wondered initially how I would cope with drastically cutting down my sugar intake (here I’m referring to added sugar rather than sugar naturally found in fruit and dairy products), especially with Christmas round the corner. 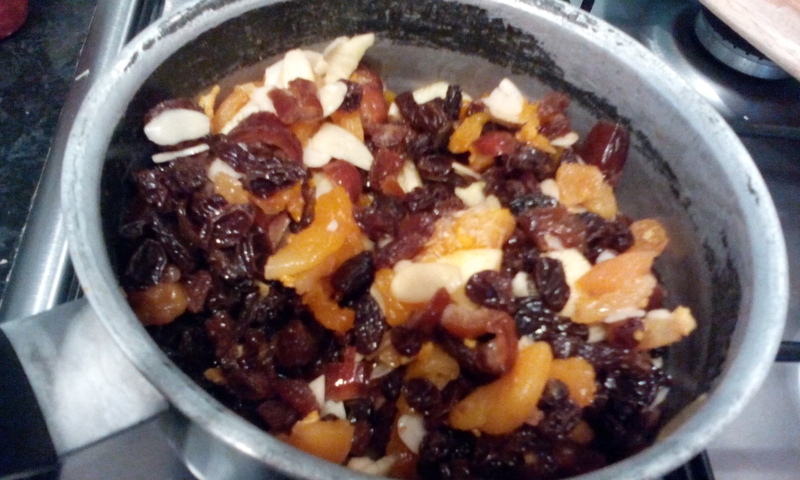 I LOVE mince pies, especially the fresh warm ones my mother-in-law bakes on Christmas eve – so I started a quest to find a recipe for a no added sugar mincemeat that I could use for mine. When I looked at the nutritional information on the jar or shop-bought mincemeat I had in the cupboard, I was horrified to see that sugar (the white added stuff) was the first ingredient! This means there is more added sugar in there than dried fruit, which really surprised me. 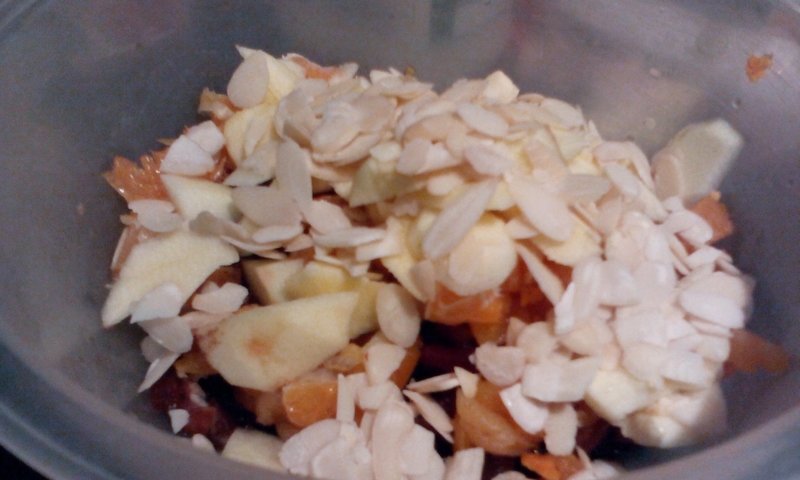 In fact the dried fruits themselves are pretty sweet, meaning you don’t even need to add any additional sweetness to the recipe (I did add a little of my erythritol sweetener but this is optional). 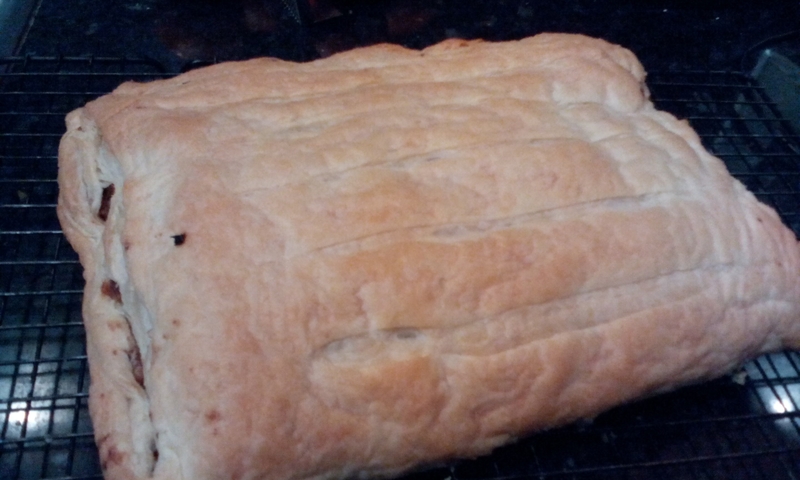 I did some research online, and changed a few things around to come up with my recipe, which I am sharing with you. 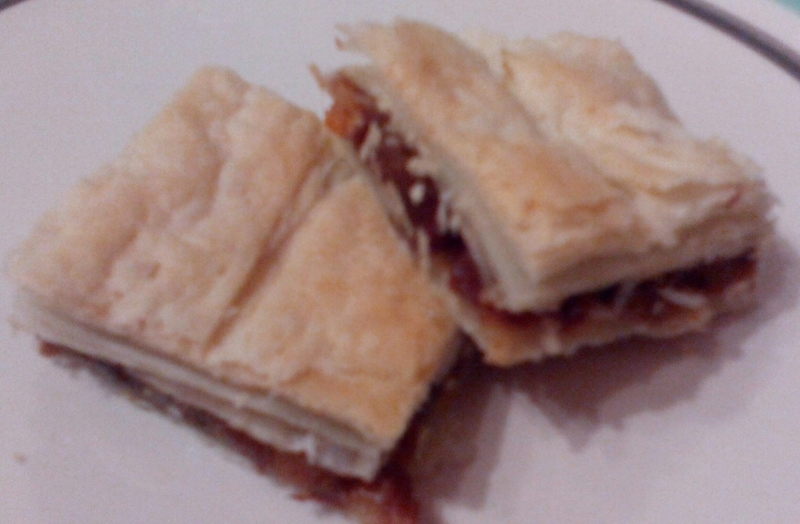 I wanted to make my mincemeat into little filo pastry twists, but unfortunately the shop didn’t have any filo at the time, so I used ready rolled puff pastry and made mincemeat parcels. Filo pastry is a lot lower in fat, so this would be my choice if I was making them again. I used about two-thirds of the batch in the recipe below to make 24 mincemeat parcels. The mincemeat can be stored in at airtight container in the fridge for around two weeks. I have kept the rest in the fridge and will ask my mother-in-law to use it with her fresh short crust pastry so I can have some ‘proper’ mince pies on Christmas morning. 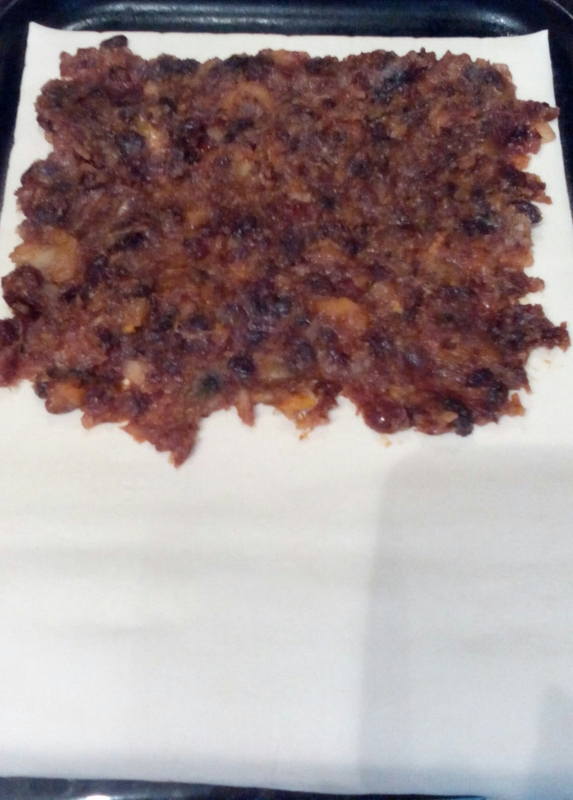 This batch of mincemeat contains a total of 330g carbohydrate, 19g protein, 1720kcal and 15g fat. This batch should make 30-40 mince pies / parcels depending on size. Based on it making 36 mince, each portion of mincemeat contains approx 10g carbohydrate and 47kcal. All sugar is naturally occurring in the dried fruit, apple and clementine. Adding this mincemeat to filo pastry, would result in each mince ‘pie’ containing approx 15g of carbohydrate (a similar amount to a slice of bread) – a perfect little treat.